René Hasée (6) - The boy who has never been found after 17 years. Re: René Hasée (6) - The boy who has never been found after 17 years. When I was looking at this story yesterday Sadie, I couldn't find any reference to where they actually were when Rene went missing. In fact some of the family web postings have disappeared now. I keep asking myself, if Rene was only a matter of 20 feet or so in front of his parents and they had sight of him how could he possibly disappear in a big wide open beach? Do you think their story is true? That's one version - the Bild report above paints an entirely different picture - but let's look at some colourful aerial shots of the Algarve instead, shall we? 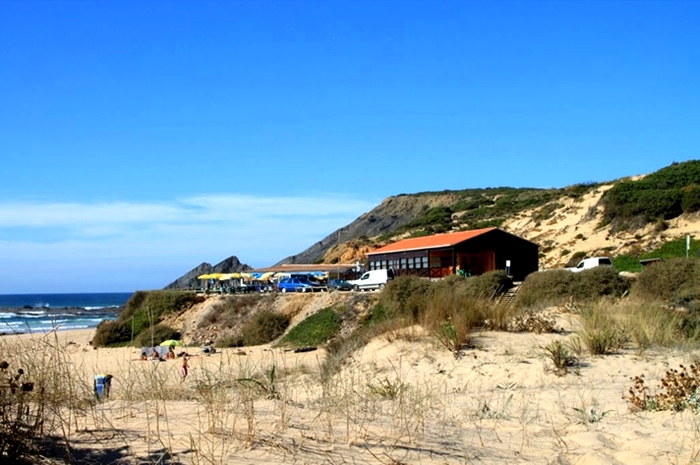 Franz Burbach got into his car and drove to Portugal immediately. René had always been 'his' boy - almost every afternoon the boy had spent at his grandparents. Him and his daughter stuck up hundreds of posters, asked witnesses on the beach, hired divers. Argued with the cops who called a close to the search after a few days. But why were these stories out there originally that the parents returned every year looking for Rene? And why is he classed as missing? No, I am reading Registrars translation incorrectly. Rene had taken his clothes off playing in the sand and was near those sand dunes. He had to be, because they were near the Restaurant with a hidden pathway to the car park. I cannot, for the life of me, see how Icabodcrane's comment can be construed as deviant. Just the opposite, in fact. Registrar's comments, however, are highly abusive. I don't think he was being flippant so lets all take a deep breath. JOHN THE WRONG IMAGE IS ON POST 24. Any chance you could change it pls for the GE image entitled CLOSE UP. Sadie. Can you send me that one again, I think I received the same one twice. I have 3 GE images and 3 photos. Also, if I reduced the GE images to fit the board you would not be able to read the text thus why I have retained them full size but with a slider bar at the bottom. It appears that there are two totally different versions of what occurred to that little lad. Some more images of the road down to the restaurant and the beach beyond where Rene played. And views to and from the restaurant. Everything is brilliant now. Thankyou so much. I just didn't understand the slider to begin with and thought that I only had half the image. And the photographs you have posted are superb. They certainly illustrate how much higher the land is where the ?Restaurant stands. Where do you find them from? My apologies for not responding to your earlier post sooner. I have little computer nous and I am notb good at office type organisation. It was a mighty challenge to me trying to post the opening series of posts in the right order and check the GE images, that I knew I must not let anything distract me. i) Never before had i seen suggestion that Rene took his outer clothes off and sat in the sand playing. Let's examine that last line about Renes footprints. 1. It was almost midsummers day so likely quite hot in PT, especially as Rene had taken his clothes off according to that report. 2. That beach would have been pretty busy at 6pm on a hot midsummers day. Was he near the back of the sands, near his Mum? Did someone see him and piggyback him, whatever, with the promise of an ice cream into the high dunes, or onto the hidden pathway? The pathway at the back of the restaurant ... to a waiting car? Or into the surfing shack, if that is what it is? From Johns photographs, it seems some cars park mighty close to that ?surfing shack. Could he have first been taken there? ... or along that hidden pathway / over the dunes to the car park? the abductor's footprints would have been in evidence also. My take on this, either some great sand hole opened underneath the child - swallowed him up completely - AND backfilled itself - unlikely. But if one considers this plausible - the diggers should be ordered to the exact same spot he dropped his clothes at and disappeared - and should start digging. That, or the responsible adults are lying through their teeth.